The 661 Comp gloves have 4 way stretch Spandura mesh back with a direct inject logo. Neoprene and molded TPR protective pads on the knuckles. 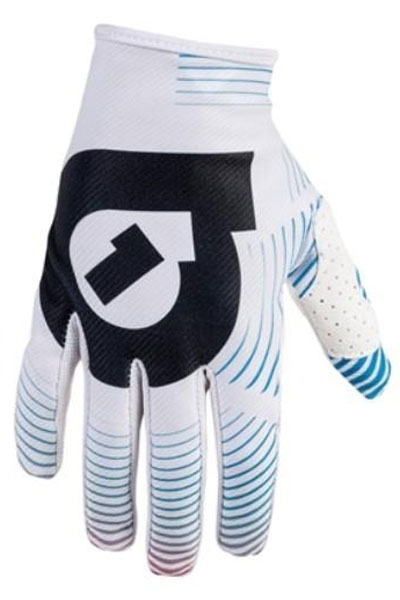 A washable synthetic leather palm, and power mesh on the side of the fingers create a perfect fit, and keep the glove cool. The new SixSixOne 661 Comp Vortex Full Finger Gloves offers the perfect balance of fit, comfort and style! Featuring a single palm layer design for ultimate grip control and a backhand stretch mesh that contributes to the glove feeling light and airy. In addition, silicone printed finger tips help with lever traction while Thumb overlay adds protection and comfort. Slip on design makes for a minimalist feel. The SixSixOne 661 Comp Vortex Full Finger Gloves are the best value gloves on the market with no compromise on comfort or durability.